V2501. 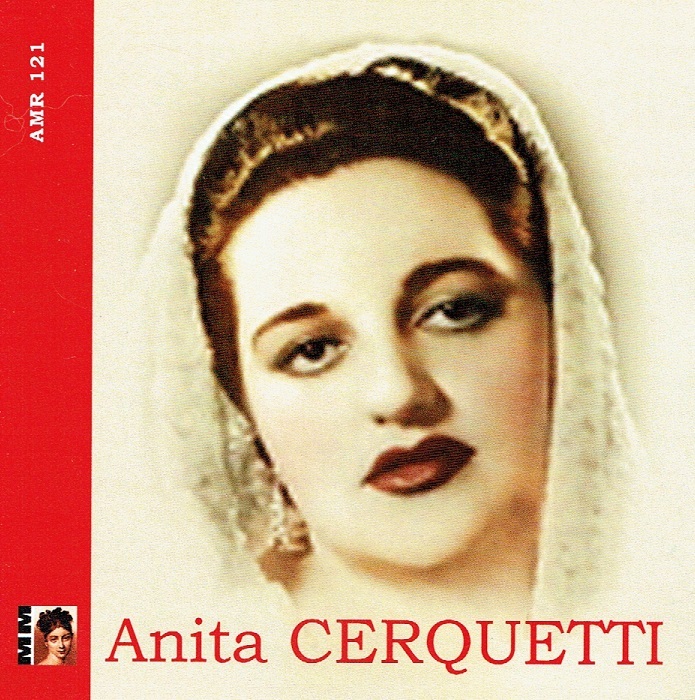 ANITA CERQUETTI, w.Gavazzeni Cond. 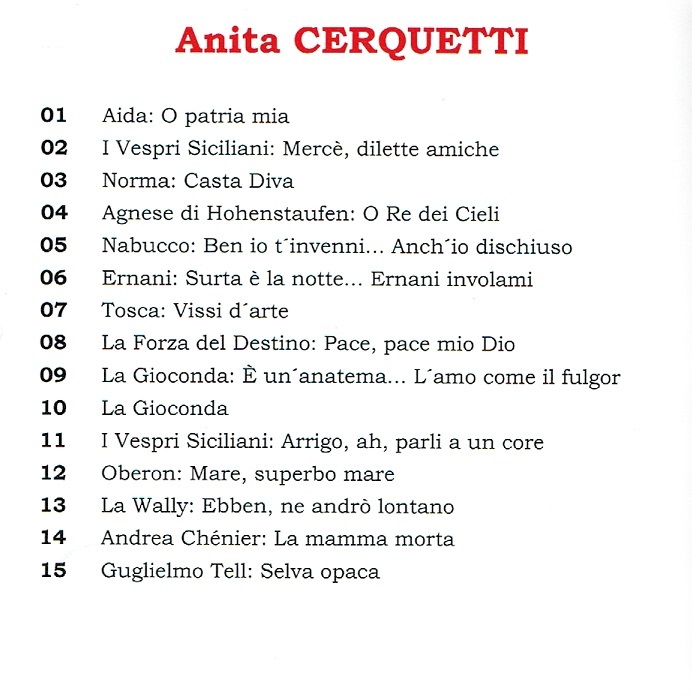 : Arias from Norma, Agnese di Hohenstaufen, Aida, I Vespri Siciliani, Nabucco, Ernani, Forza, La Gioconda & Tosca - recorded 1957; w.Gui Cond. : Oberon - Ozean, du Ungeheuer! (in Italian) - Broadcast Performance, 18 Jan., 1956; w.Rossi Cond. 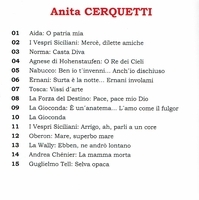 : I Vespri Siciliani - Arrigo, ah parli a un core - Broadcast Performance, 16 Nov., 1955; Guglielmo Tell - Selva opaca - Broadcast Performance, 5 Sept., 1956; Arias from La Wally & Andrea Chénier - Broadcast Performance, 26 Jan., 1956 (all w.RAI Orch.). (France) Malibran 121. Final Copy!